It was a very special afternoon for Oz Whale Watching guests this afternoon. 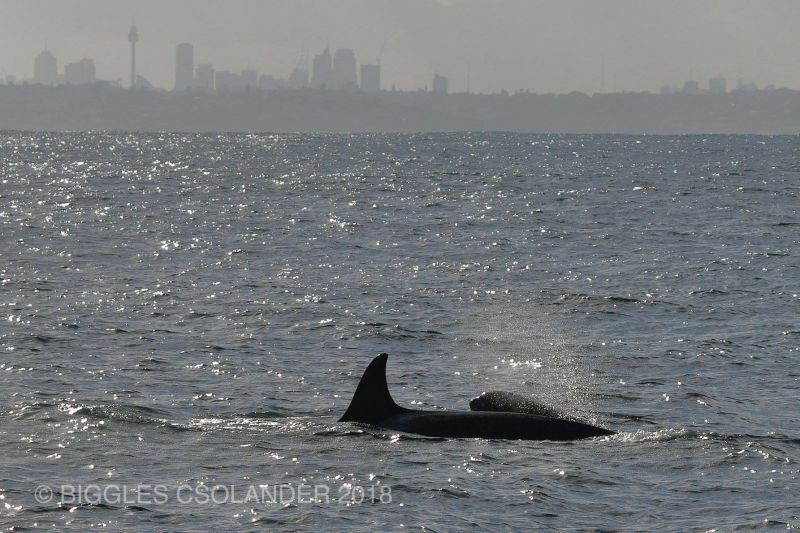 After watching a pair of mature Humpback Whales off North Head, we were very grateful to hear from Micheal Ellison & Fiona Brook that there were Orcas off Maroubra. 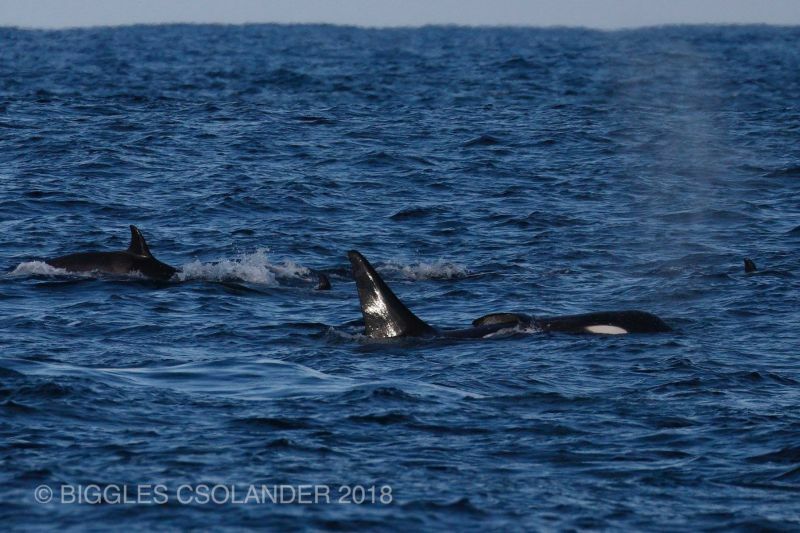 Orca sightings are very rare off Sydney so we were delighted to find approximately 50 Orcas in a pod! 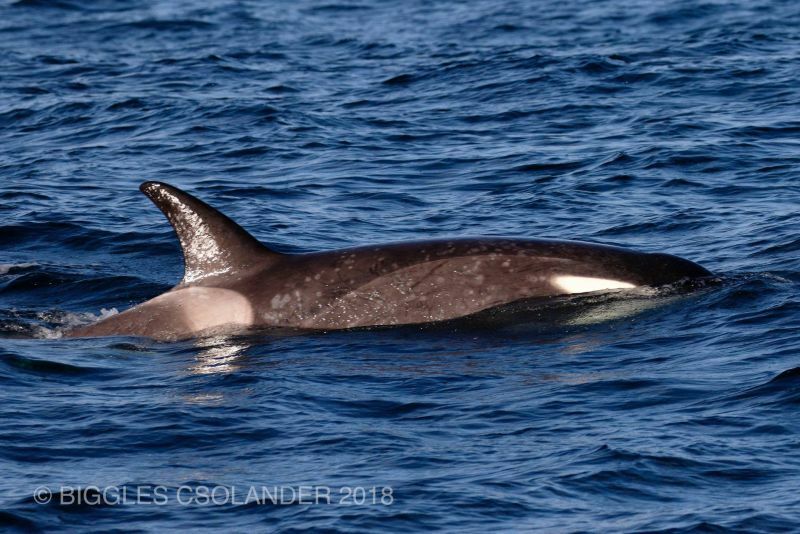 Having personally only seen Orcas from boats and land 3 times off Sydney in 25 years, any Orca sighting is special, but those previous sightings were only of a pair (twice) and a quartet making the numbers we saw today probably a once in a lifetime experience for both passengers and crew! 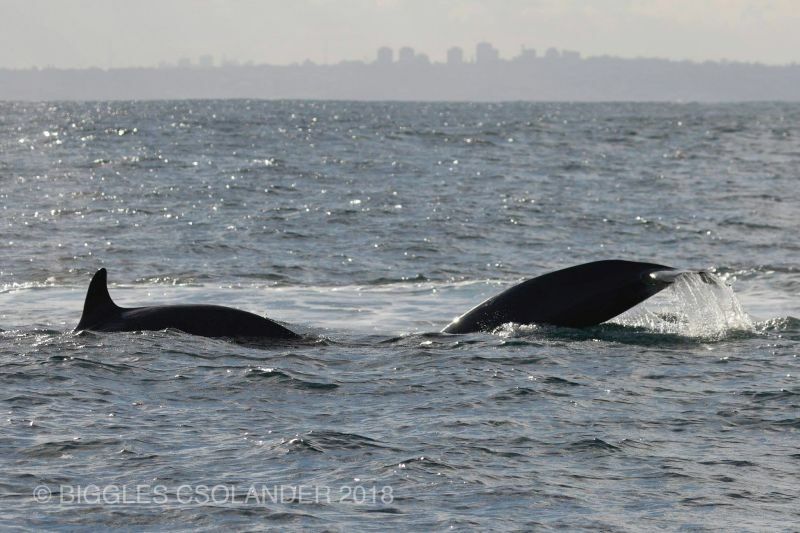 With such large numbers all age classes and sexes were present, the mature males having a distinctive tall angular, rather than a curved or falcate, dorsal fin. 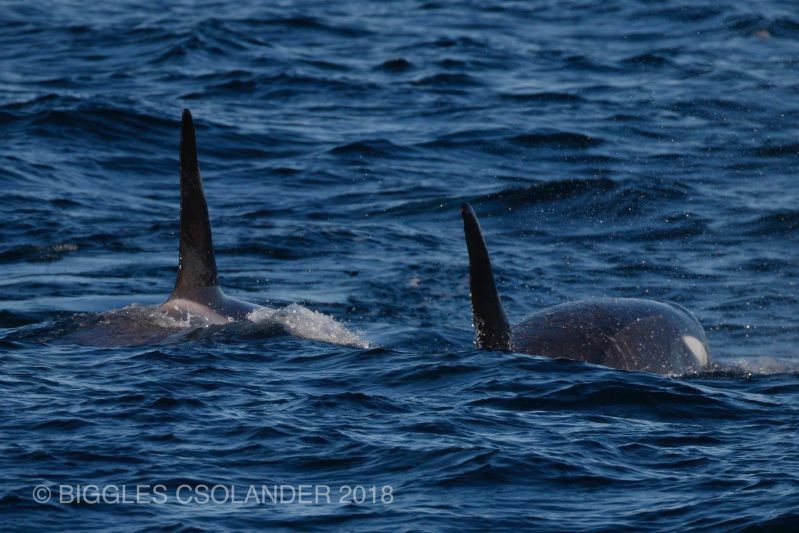 According to Killer Whales Australia, these Orcas were were 'Type C'. The two diagnostics we use are the narrow, angled eye patch as apposed to the fuller, more oval shaped horizontal patch of the east coast "regulars". Type C also present with a defined 'cape' which runs from the eye patch in a swirl along the flank of the animal.